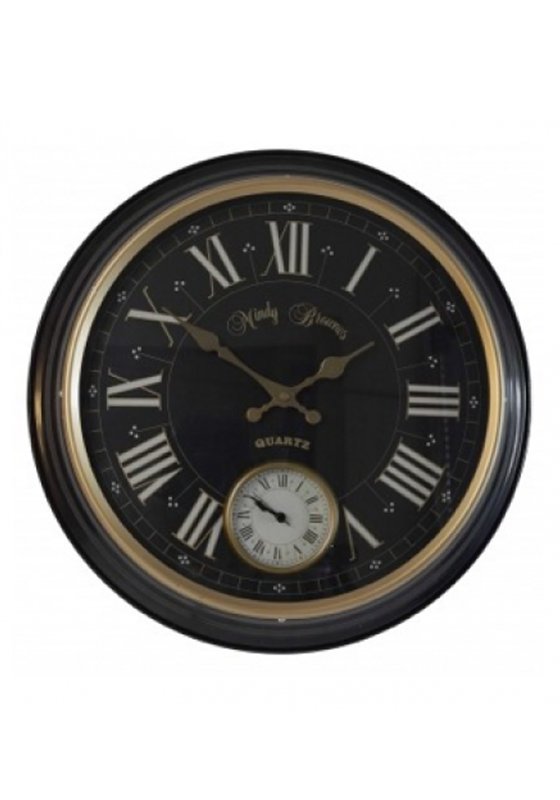 The Reece wall clock by Mindy Brownes has quite a traditional look and would stand out if placed on a contrasting light wall. 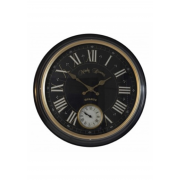 The clock has a black face with white Roman numerals and gold handles. A second small dial can be set to a time in a different country.